The beautiful island of East Honolulu is a fabulous place to visit and many people also call home. With gorgeous beaches, fine dining, and hiking to exotic serene places, there is no time on the agenda to be down with a toothache. With so much going on, the island definitely has no shortage of dentists to offer. Emergencydentistsusa.com has compiled a list of available dentists in East Honolulu and the surrounding area. You can view the types of insurance they accept, the hours that they are available, and some of the services that they offer. With the click of a button, you can find the type of dentist that will be able to treat the problem that you are experiencing the best. If you’re unable to search the web, one of our friendly agents will be glad to assist you on our toll free dentist finder hotline. They can find the dental office that will suit your needs the best. Once you choose an office, they can book the first appointment for you and even give you directions to the office. When you go to your first appointment, make sure you arrive about 15 minutes early and bring a valid ID, a list of your current medications, and any copays or payment that may be due at the time of service. When you’re in pain and in a new place, finding a dentist that will fit your needs can be a difficult task. We make that easy by providing a list that you can choose from that align with your needs. 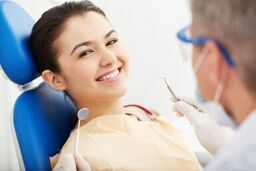 From pediatricians and general dentists to oral surgeons, there are plenty available for you to make a selection from. Description: Hawaii Family Dental is glad to provide excellent dental care to you and your entire family. We offer regular cleanings to more intricate dental procedures, we able to take care of most of your dental needs. With extended hours on Saturday, we can accommodate even the busiest schedules. Hawaii Pacific Dental Group, Inc . Description: Hawaii Pacific Dental Group treats their patients just like they are family. They want everyone to feel welcome as they are treated with the latest advancements in dental technology. They offer cosmetic dentistry at prices that you can afford. Description: Waialae Dental Care is a professional office that offers their patients state-of-the art and personalized care. They can handle everything from routine checkups and restorative care to emergencies. They are open seven days per week so scheduling an appointment when you need one is simple. If you’ve experienced a toothache that has lasted longer than one to two hours, it may be time to head to an emergency dentist. If your pain is due to trauma in the mouth area from an accident of some sort, get your mouth checked out by urgent care or the ER first. If it is not from trauma, then it could be an infection and you need to have it seen by an emergency dentist immediately. Whenever you visit a dentist that you’ve never seen before, be sure to check their credentials. You can do this by entering the dentist’s name on the Hawaii Dental Association website. You can also check when you go in the office. Credentials are typically displayed on walls in the receptionist office and in the patient rooms.